The Urban Garden is located in an empty lot across the street from the City House (on the corner of 9th Ave and 9th Street). Until recently, a house known for drug activity sat on the lot but was torn down by the city. With help from neighbors, the City House community has built ten raised beds, which are used for tomatoes, cucumbers, peppers, onions, lettuce, zucchini, celery, beans, pumpkins, strawberries, blueberries, and basil. Each year, students coordinate neighbors’ efforts and investment to facilitate a corporately shared garden. Neighbors and friends of the City House help in the planting, watering, harvesting as well as cover the costs of the garden in exchange for regular distributions of vegetables throughout the summer. 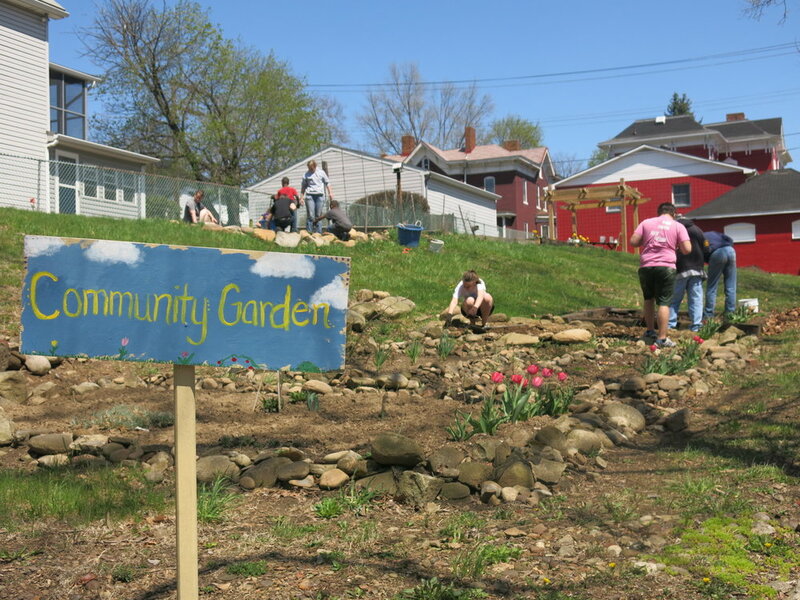 Last year, ten households participated in the community garden.